Jean is an award winning artist who works in oils, acrylics, watercolor, colored pencil, pen and ink and mixed media. As an artist, Jean challenges herself by always exploring and trying new techniques. Jean’s goal is to set free her inner voice and vision through paint on paper, board and canvas. She hopes her work interprets how alive it makes her feel. Hopefully, her work will touch others as well. 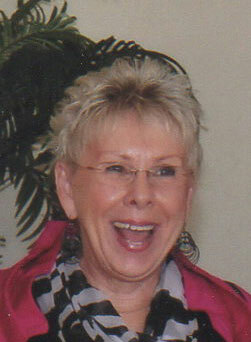 In her artistic journey, Jean has taken extensive art courses and has attended St. Petersburg College, Dunedin Fine Art Center, Ringling’s Long Boat Key Center for the Arts, The Beach Art Center, various workshops from local artists as well as nationally known artists such as David A. Leffel. Jean works out of her home studio in Belleair, Florida. Jean is a member of TESA (The Exhibiting Society of Artist) the prestigious art organization of the Gulf Coast, PAVA (Professional Association of Visual Artist), Stirling Art Studios and Gallery, Florida Watercolor Society, ISAP-FL (International Society of Acrylic Painters-FL), on Board of Directors CAG (Creative Artists Guild), The Colored Pencil Society of America, DAC (Dunedin Art Center), Indian Rocks Beach Art Center, The Leepa-Rattner Museum of Art and The Fine Arts Society. Jean is a native of Massachusetts and a retired Accountant. She lives in Belleair, Florida and has called Tampa Bay her home since 1978.